Are you a Fan of Lamb? Edible DC readers have an exclusive discount to this Sunday's American Lamb Jam event at Dock5, Union Market. Enter code EDIBLE DC for 15% off VIP or Main Event tickets. 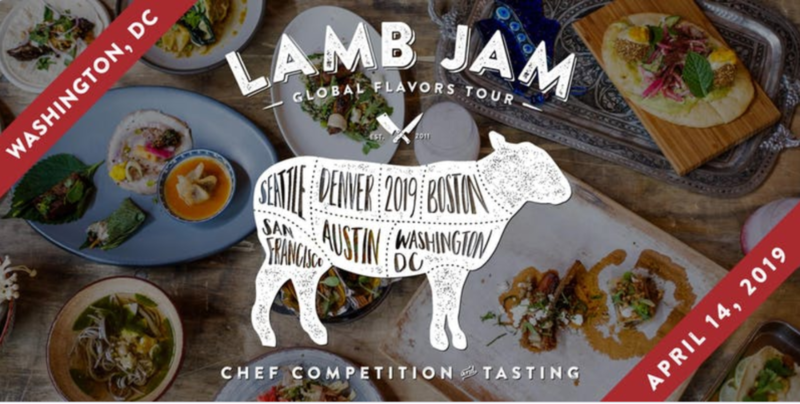 This is a fantastic event where 16 of DC's top chefs compete to become Champion of the Lamb Jab. A celebration of local lamb producers, the event features unique small plates and cocktails aplenty. Go to this Eventbrite link to buy tickets.